I work in the Creative Arts as a Fine Artist and Designer, Illustrator, Medical Artist and Writer. I work in a variety of media; from pencil, charcoal, pen and ink to watercolours, acrylics and oils creating artwork for exhibitions, galleries and on commission. Digital artwork is also a specialty, using Adobe Illustrator and Photoshop. I create art, medical illustration and design work for clients around the world. Recent commissions include demonstrating the head and neck anatomy of the dog (UK), an obstetric commission (Canada) and illustrating human anatomy involved with the voice (USA and UK). Some of my medical artwork can be licensed from Wellcome Images (http://wellcomeimages.org). As a fine artist I enjoy working in the specialist areas of portraiture and figurative art, botanical and landscape art, animal and wildlife art; where possible I use my fine art to help support my favourite charities. I am passionate about helping others to enjoy developing their artistic skills, no matter what stage they may be at on their ‘artistic journey’. I enjoy sharing my knowledge at art demonstrations and art workshops. I also love writing about art as I explore the various genres, materials and techniques. With a keen interest in the ‘business side of art’ (including PR and marketing for artists) I am invited to give talks and presentations on this subject. My love of Fine Art and the wish to learn more about the industry led to my applying and gaining membership of the Fine Art Trade Guild. I am Chair of the Fine Art Committee and also the North West Branch Master. I am also a Signature Member of the Vancouver based Artists for Conservation; “The World’s Leading Artist Group Supporting the Environment”; I was honoured to be awarded ‘Conservation Artist of the month’ in December 2013. I am a Founder Member, former Chair (and Trustee) for four years and Honorary Life Member of the Association of Animal Artists. I am a member of the Association of Illustrators, Association Européenne des Illustrateurs Médicaux et Scientifiques, the Medical Artists Association, the Association of Medical Illustrators (USA), the Royal College of Midwives and the Writers Guild as well as being a member of the Portrait Society of America and the Cecelia Beaux Forum. I am a professional member of the Society For All Artists. Anne Corless RN, RM, BA (Hons) Design, MMAA, RMIP, AFC. 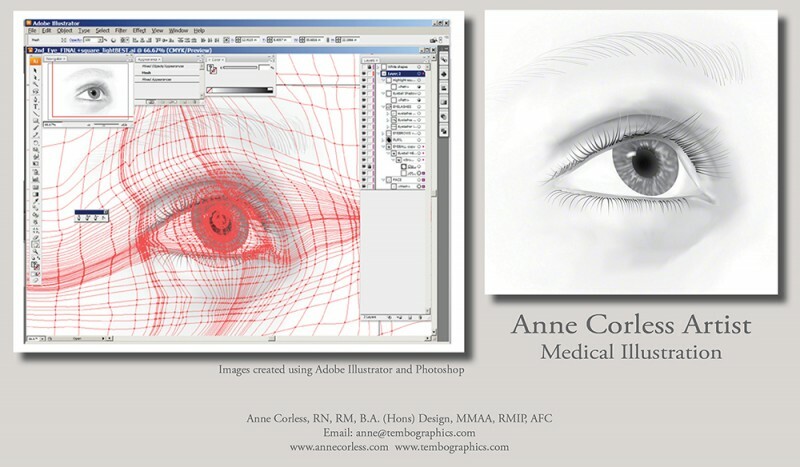 Based in the UK, Anne Corless, is a Professional Member of the Medical Artists’ Association (UK) and a Registered Medical Illustration Practitioner. 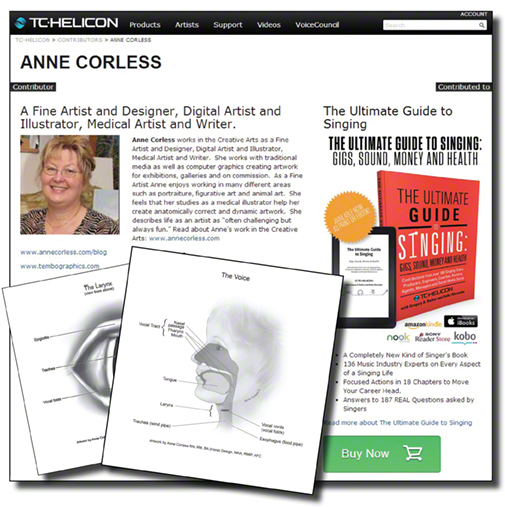 Anne Corless founded Tembo Graphics to offer original design and illustration services. Anne also enjoys working in the specialist areas of medical, veterinary, zoological and life sciences. She is a Member of the Assocation Europeenes des Illustrateurs Medicaux et Scientifiques, an Associate Member of the Association of Medical Illustrators (USA), Member of the Association of Illustrators (UK), Member of the Portrait Society of America, The Cecilia Beaux Forum and a Member of The Royal College of Midwives. Artwork ranges from simple line work to complex highly detailed illustrations and can be produced using a variety of media ranging from simple pen and ink or watercolour to multi-layered digital artwork using the Adobe Creative Suite. Anne’s love of Fine Art also informs her artwork and helps her produce exciting and dynamic artwork. 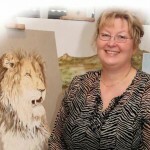 She loves working in the specialist area of wildlife art and is honoured to be a Signature Member of Artists for Conservation and was thrilled to be AFC’s ‘Artist of the month’ in December 2013. A strong interest in animal art and comparative anatomy resulted in Anne becoming a Founder Member, former Chair for four years and Honorary Life Member of the Association of Animal Artists. Anne’s love of fine art and the wish to learn more about the ‘business side’ led to Anne joining the Fine Art Trade Guild; she is Chair of the Fine Art Committee and North West Branch Master. Anne is also a Professional Member of The Society For All Artists. Anne is honoured to be a full member of The Writers Guild.